Sieze the day by going on this extensive sightseeing tour of Krakow by minibus. Thanks to the mode of transportation, see a large swath of the city while learning about the history of Krakow: trendy and hip Kazimierz, once the the Jewish ghetto; Grodzka Street, Old Market Square and St. Mary's Basilica, among many other spots. 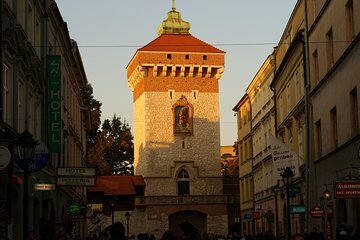 See many of the main sites, including Florian Gate, Wawel Castle, Grodzka Street and Old Market Square among many others. Great experience covering all the key sights of this historic city. I was the only one on the tour. The tour guide was informative and helpful. There are many free walking tours in Krakow, could have availed myself on one of them. Guide was very nice and informative. There were only two in our group.